I stayed at Delphi Camping, which is a beautiful campsite just 4 kilometers away from the ancients sites. 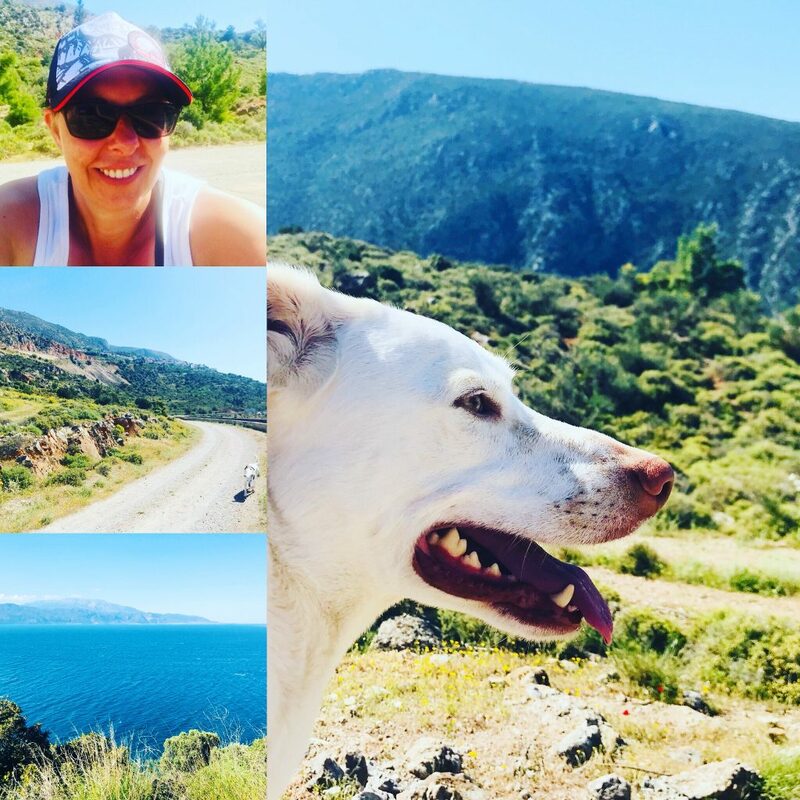 The area around the campsite is perfect for hiking, exploring the extraordinary fauna and enjoying the breathtaking view from on top of the mountains. As I did some research before leaving to the main archaeological area, I knew that parking especially with a motorhome would be a challenge. 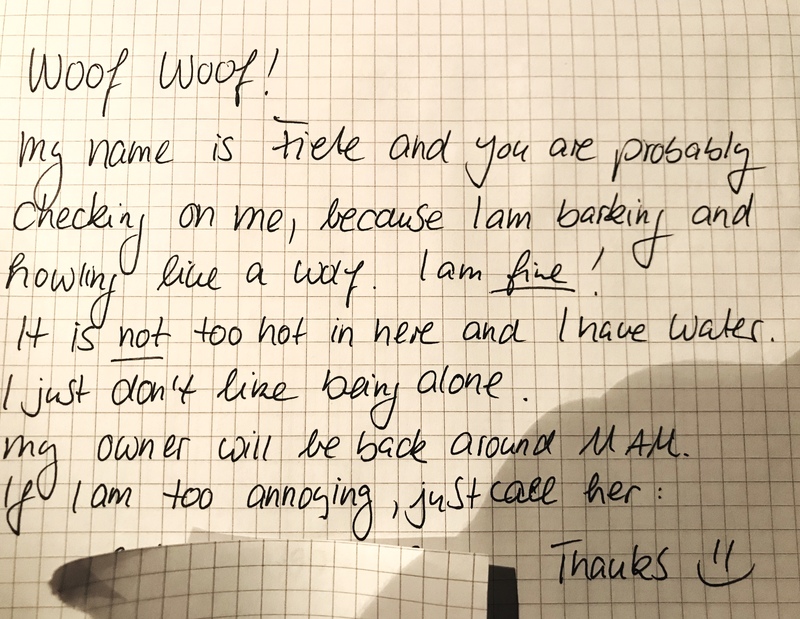 And dogs are not allowed – booh! So unfortunately you cannot expect any cute picture of Fiete infront of the ruins of Delphi. So I decided to take a taxi early in the morning around 7.30 AM and leave Fiete at the campsite. As you can tell, this also needed some prep-work, but it all worked out fine. The roundtrip by taxi was 20 Euros and totally worth not to have to worry about parking. 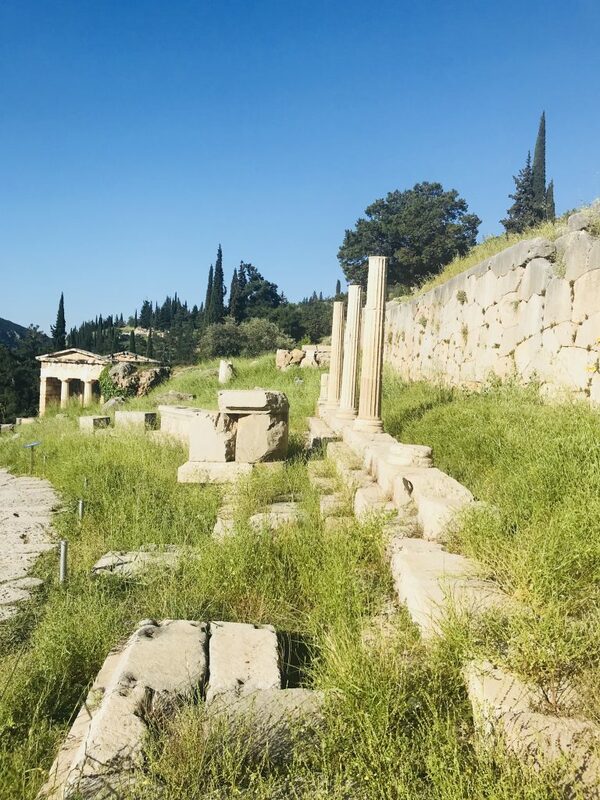 Having arrived in Delphi, I paid the 12 Euros entrance fee and hiked up the ancient city. 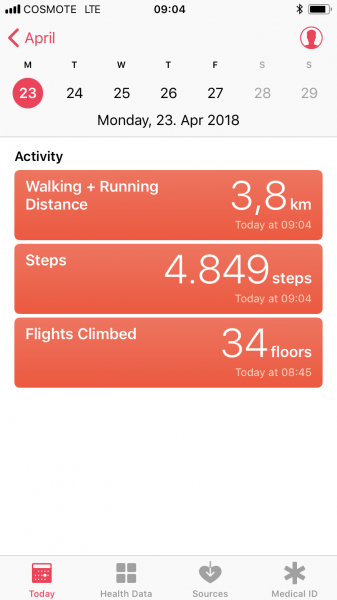 Yes, you have to expect a little of a workout as the path goes upway to see all the main attractions. The last destination is the stadium, which is about a 3,5 kilometers steep hike up. 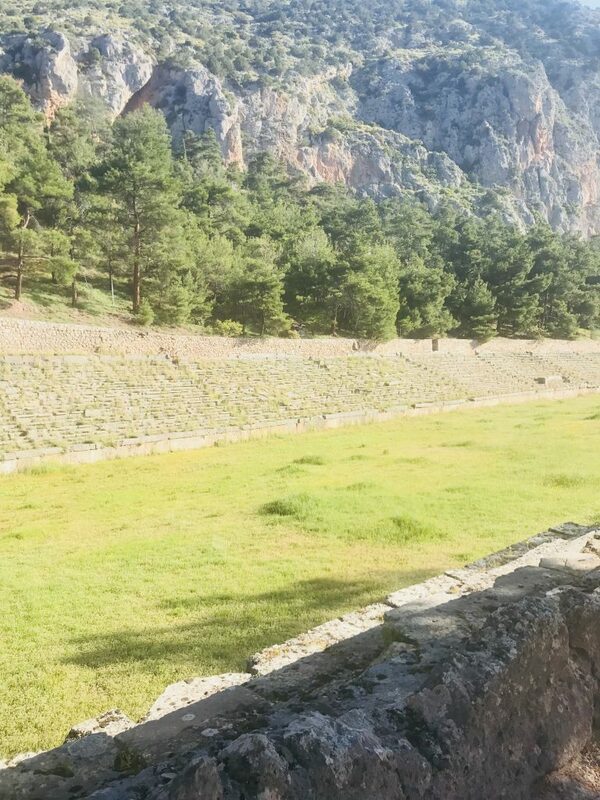 But I can tell you, it’s worth the effort as the ancient stadium is a beautiful place and therefore counts to my top thing to see in Delphi. 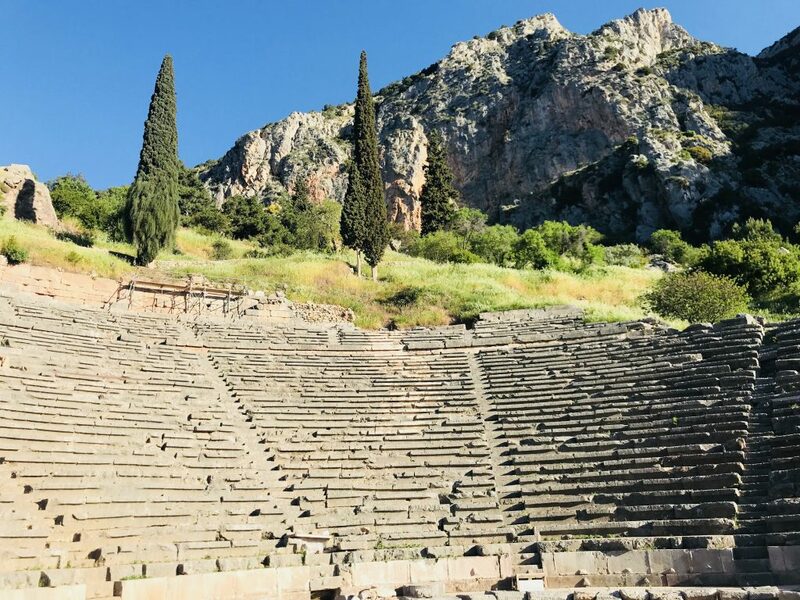 The history of Delphi is older than old! It dates back to ancient Greece around 510-323 BC. It was regarded as the center of the Earth during ancient Greek times. 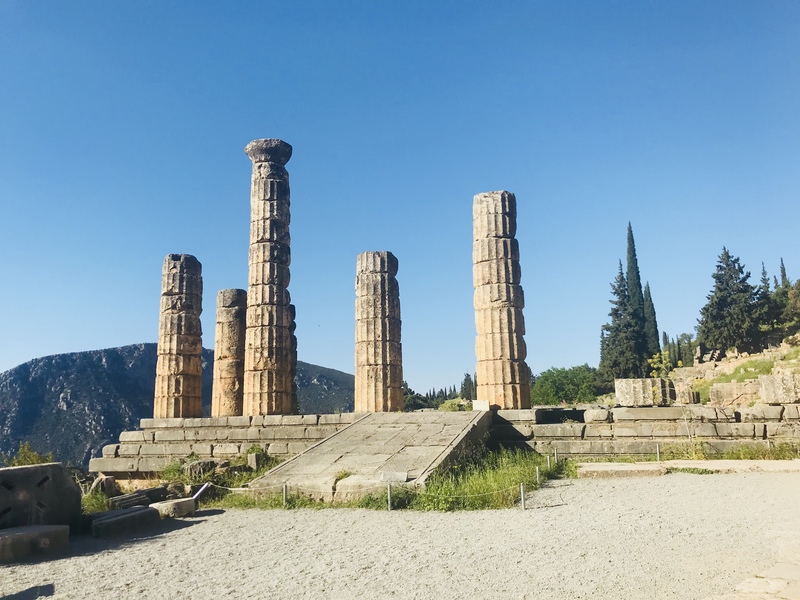 According to historic legends, the God Zeus sent two eagles flying from opposite ends of the world and they crossed paths over right in Delphi. This was marked by an “omphalos” which is a religious artefact, and said to have represented the “navel” or center of the Earth. You can view the omphalos in the Delphi museum right at the site. The history and excavation of Ancient Delphi will never be complete and yet, is always ongoing. 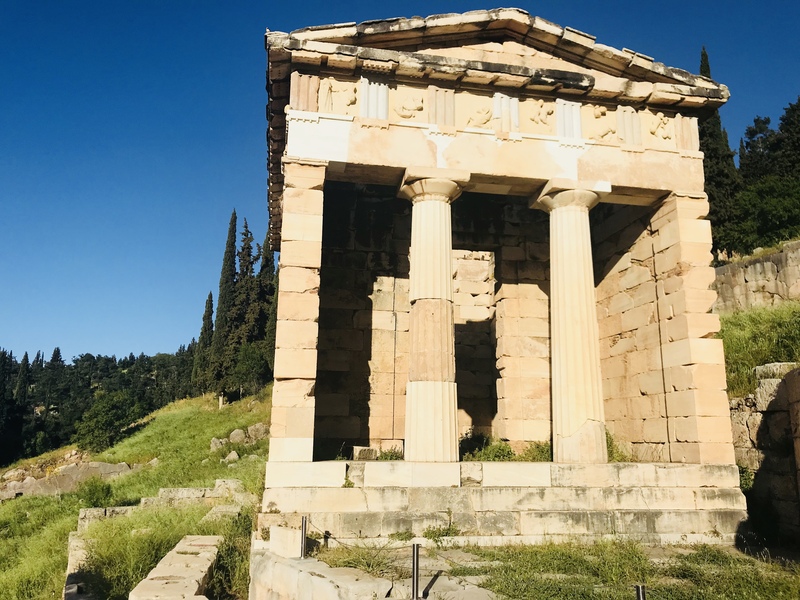 Germans began the archaeological research in 1860, and The Greek Archaeological Service and the French School at Athens are continuing to research and conserve the sanctuaries so very important to the history of ancient Greece. 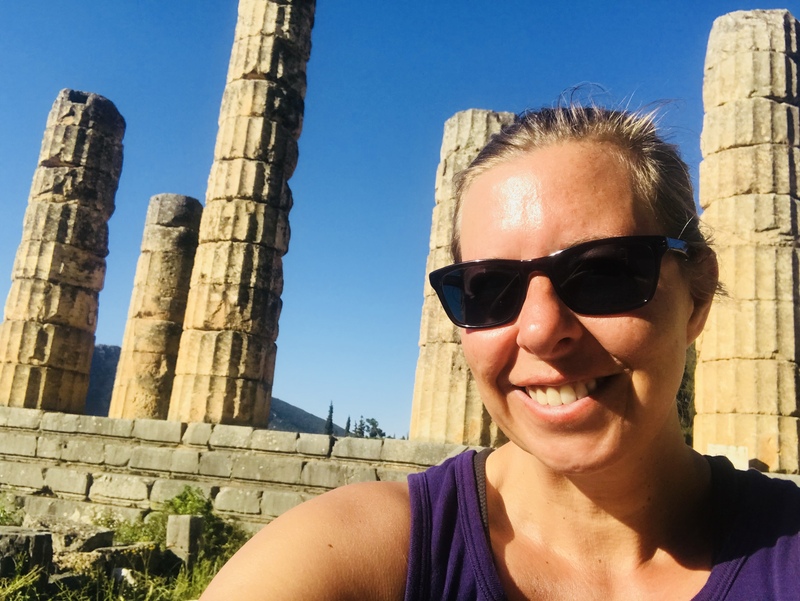 As I walked to each section of Delphi, I was greeted with more and more ruins, as well as spectacular mountain views. My famous places were the Sacred Way, The Temple of Apollo, the Delphi Theater and the Stadium. Let’s explore these sites together starting with the Sacred Way. The first ruins you’ll come across right after you enter the archaelogical area and as you make your way up throughout the site of Delphi is the Sacred Way. In ancient Greece, these pillars held important monuments and treasuries built by various cities in the country, but only the bases remain today. The Sanctuary of Apollo is the main and most visited site at Delphi. It contains numerous ruins such as treasuries, monuments, temples and the well preserved theatre. You will enter at the site of the old Roman Agora and walk along the Sacred Way past the Treasury of Athenians, Sybil Rock, Temple of Apollo and up to the theatre, built in a high corner of the sanctuary. It is said that the Temple of Apollo is the most important building in the sanctuary of Apollo. After being burned down in a fire in 548 BC, it was replaced around 500 BC, but then destroyed yet again in an earthquake around 373 BC. The base remains, and you can view a few reconstructed columns of the temple. Apparently, legend states that Apollo defeated a dragon here in order to protect the naval of the Earth. This is where Greeks worshipped Apollo. Above the Temple of Apollo is a well-preserved theatre that hosted performances of plays, poetry and music during the great festivals that were periodically held. Ancient Delphi was thought to be the precursor of the modern Olympics. In ancient Greece, athletes from all over the country would compete every four years in the Pythian Games. The theater itself was originally built in the 4th century BC, but the ruins visible today date from the Roman imperial period. Its 35 rows can accommodate around five thousand spectators. This ancient stadium is one of the best preserved in all of Greece. It was constructed in the 5th century BC and underwent remodelling in the 2nd century AD, at the expense of Herodes Atticus, who added the stone seats and arched entrance. Around 6500 spectators could fit in the stadium to enjoy events such as the Pythian and Pan-Hellenic games that were held here. Impressive for these times, right? What a fantastic trip to Ancient Delphi. It is probably my favourite out of all the archaeological sites I have visited in Greece. I was fascinated by the mythical stories, still able to sense an air of mystery as I walked around the site. 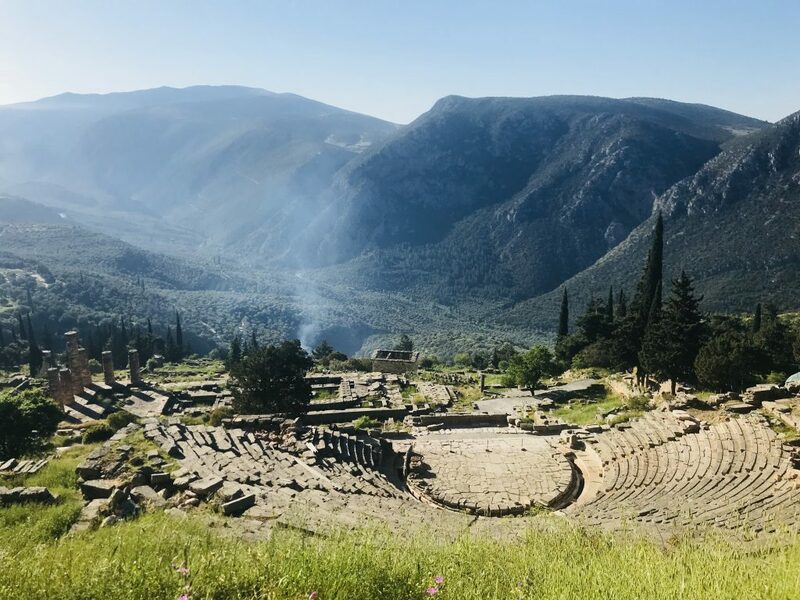 The inspiring ruins and the stunning setting adds to the allure of Delphi, a site that should not be missed on any visit to Greece. If you have the time, try to stay at least two full days as it is also worth exploring the surrounding area in the mountains. 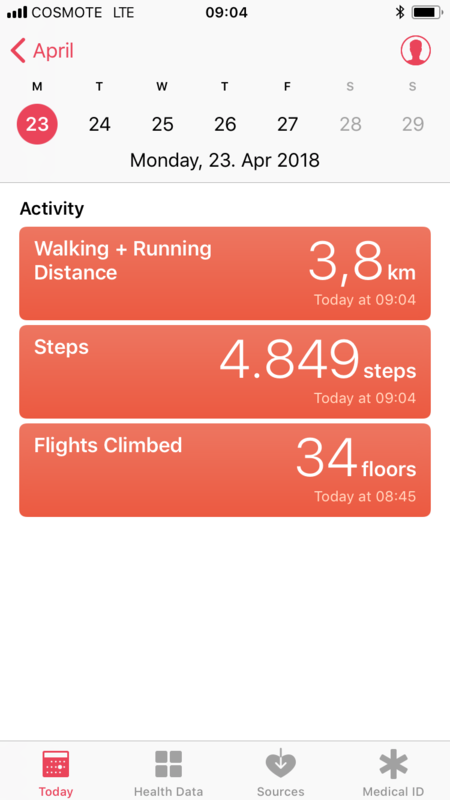 For the archelogical area you should plan in three hours to explore everything without any time stress. Time to explore Meteora now, which is only a two and a half drive away from Delphi.